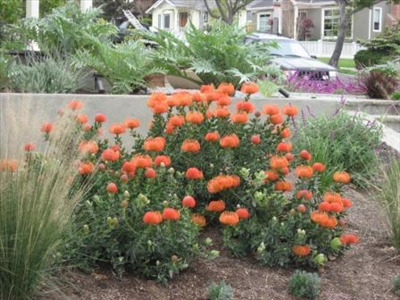 Excellent ornamental spreading shrub 4'x6' with pincushion flowers and grey-green leaves. 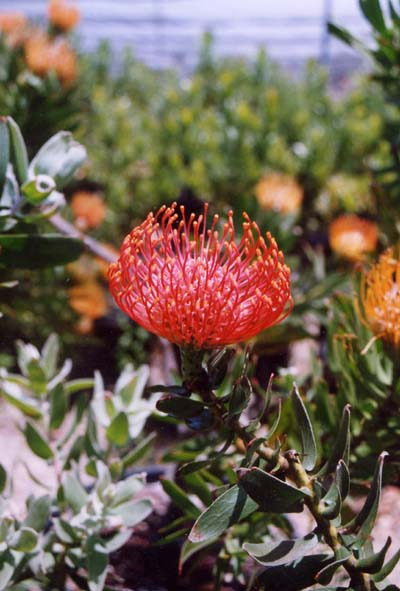 Various hybrids available with colours ranging from yellow-pale orange-deep orange-red and orange. Good long lasting cut flower. Prefers well-drained light to heavy soils. Flowers best in open sunny position. Tolerant of light frost. 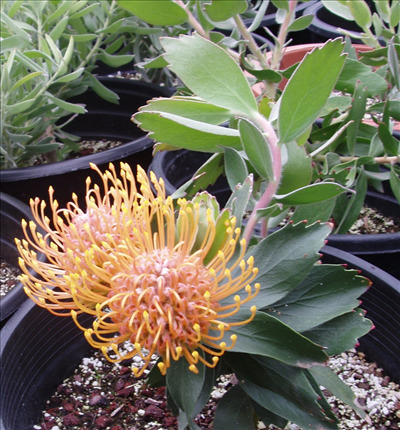 Some horticultural selections are: Leucospermum `Vlam', Leucospermum cordifolium - red.